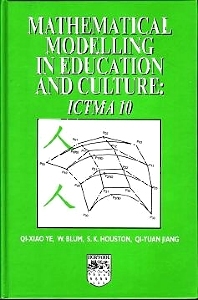 The mathematical modelling movement in mathematics education at school and university level has been influencing curricula for about 25 years. Lecturers will find material to enhance their teaching and extracurricular activities and educators will find innovative ideas to inform their course design and focus their research, while students will find interesting problems to explore. Section A Research in teaching, learning and assessment; Section B Mathematical modelling competitions; Section C Using technology in the teaching of modelling; Section D Models for use in teaching; Section E Teacher education; Section F Innovative modelling courses; Panel discussion.